The Kingdom of Nepal had the distinction of being the world’s only Hindu nation until the Hindu Monarchy fell in the spring of 2008. With isolated valleys and steep mountains, Nepal is one of the least developed countries in the world. Much of the country is inaccessible to vehicles due to the rugged mountainous terrain. While the Good News of Jesus Christ has made inroads into Nepal, the message has been corrupted by many false teachings. 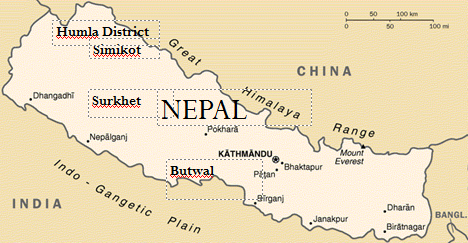 In the northern and western regions of Nepal Christianity is still mostly unknown. Pastor J.B. Bhitrakoti of the HCLC-Nepal has just recently returned from a mission trip to the Humla district in the far western part of Nepal. The only way to access this region is by air and then several hours on foot. Our pastoral meeting for October was conducted 27-29 October in Butwal. In this time we (the HCLCN pastors) study the Sacrament of Holy Baptism. My father is traveling again to Butwal for congregation visit and then he will also travel to far west of Nepal. His trip is altogether 2 weeks. Please pray for him and the meeting. He is going to make a seminar in Surkhet (mid-western part of Nepal) and then he need to fly from Surkhet to Simikot in Humla district. This is the remotest place and there are no roadways. We also have a seminar there in Simikot. 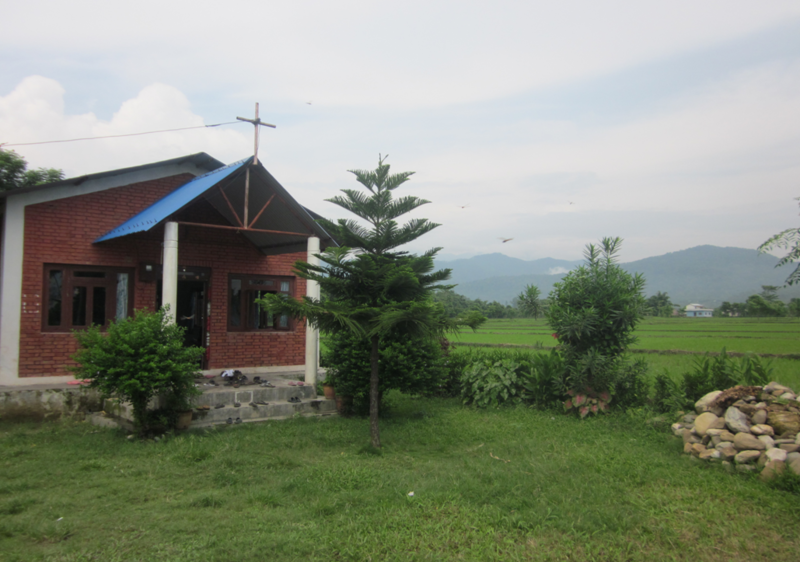 Church near Butwal where HCLCN Pastoral Conference was held in October. We received the extra gift KINSHIP money sent for the orphans. We are using this money on mattress and blankets for the children and warm clothes because the winter is coming soon and some kitchen items were also needed. Thank you for this extra gift from the KINSHIP. We also received the money from the MDF for church building in Maidi. I will send pictures when construction is complete. The pastor and believers there remember you and the Mission Helper team with much love and thanksgiving to our Savior. Please pray for the Gospel opportunity in Humla district of Nepal where my father is too traveling. There is much work to do in this difficult area of Nepal. Join us in praising our Savior for the glad privilege of preaching His Gospel where very few have heard His name.